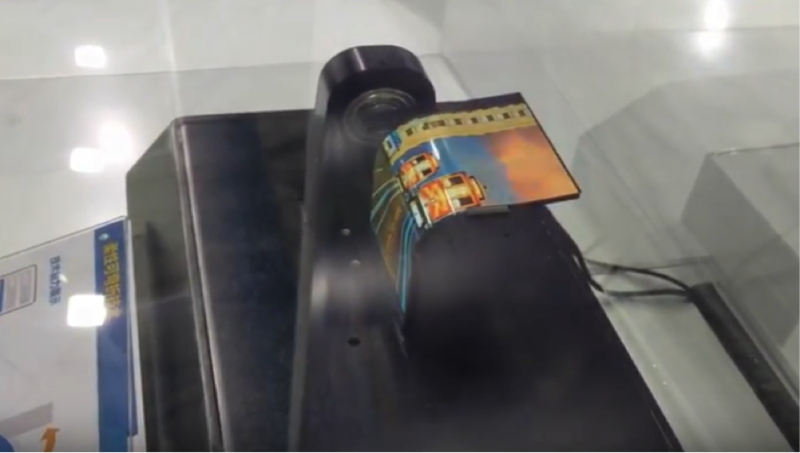 EverDisplay Optronics (EDO) showed their flexible OLED display at CES Asia. The display is a proof of concept, with plans to use their technology in devices around 2019. The AMOLED display can bend in quite an extreme fashion, but it’s as a curved edge screen similar to that seen on the Samsung Galaxy S8 and S7 Edge phones that EDO sees the displays being utilized first. That curve can also go in other directions, if the desired form factor is required making for an interesting use case in say a kids storybook. While rigid display with curved edges are used in the short term, the end game is bendable, or foldable devices. There is of course a range of things to be worked out before your phone can bend and flex as much as the screen can though. Components such as flexible motherboards, frames, batteries etc. but they think these sorts of parts could be available and in devices in the market as soon as 2020. So, foldable is the target, and flexible is an option to fold it over 90° on itself. 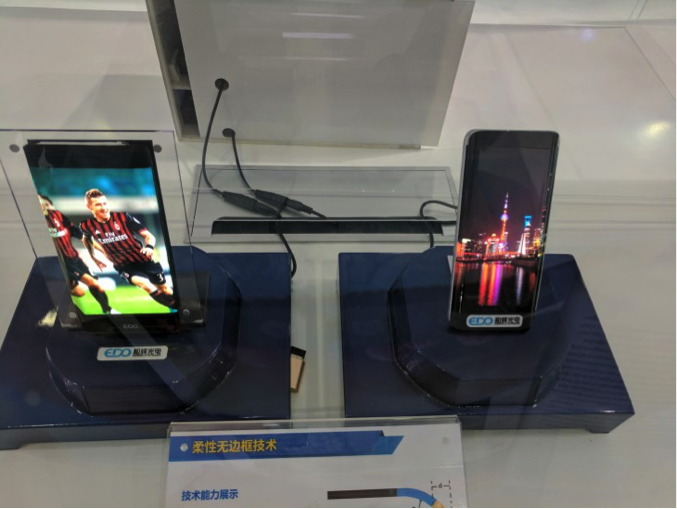 The display specs are 5.5″ with a FullHD 1920×1080 resolution with a pixel density of 402PPI. It’s a 0.3mm thin display, but that’s just a spec for the manufacturers to worry about. EDO says, “This is of course a concept really, but shows where we’re up to in terms of available technology. 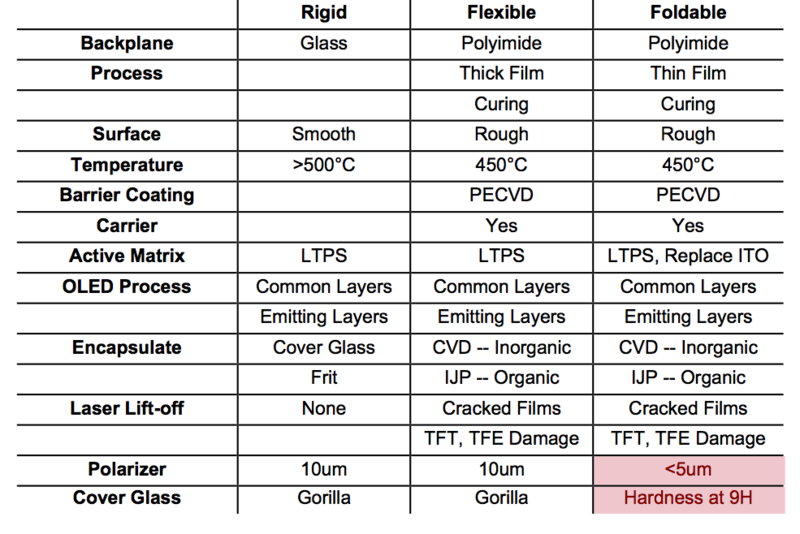 It’s the other components that are holding us back, but once we have those we could have the display on the market in 1 or 2 years.” The next table shows some of the critical specs for Rigid, Flexible and Foldable Displays.